Counsel to The Synagogue, Church of All Nations (SCOAN), Olalekan Ojo has faulted some important aspects of the COREN/NBRIRI investigative report submitted to the coroner by Engineer Victor O. Oyenuga who also doubles as witness representing both professional bodies. According to Mr. Ojo, there are contradictions between the deposition submitted to the coroner by Engineer Oyenuga and the COREN/NBRRI report concerning the quality of concrete used in the construction of the collapsed building. While his deposition stated that the concrete and other materials used in the building were of good quality, the report of the COREN/NBRRI investigation committee, of which he is a member, stated that the concrete failed. 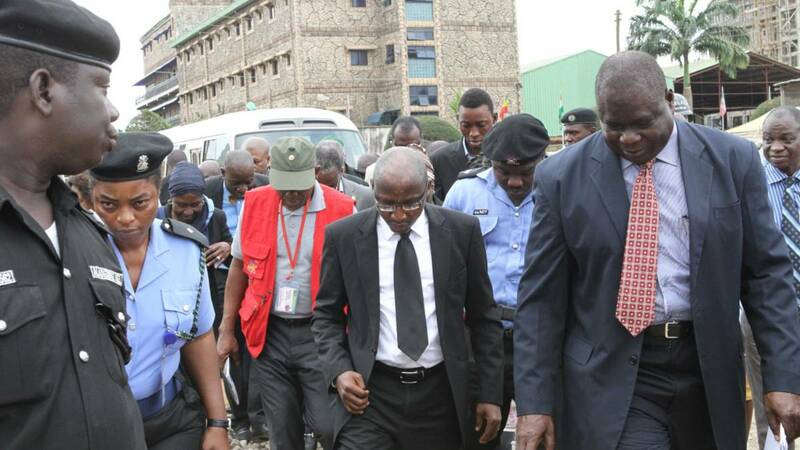 Speaking further during cross-examination by Mr. Ojo, Engineer Oyenuga agreed that he was never at the site of the collapsed building, fuelling speculations that the report must have been doctored by external forces bent on embarrassing the church and its founder, Prophet T.B. Joshua. This speculation arose from the behavior of the Chief Magistrate, Oyetade Komolafe who allowed The SCOAN counsel only one hour to cross examine the COREN/NBRRI witness, a measure that was never applied when counsel to the Lagos State Government, Akingbolahan Adeniran cross-examined the same witness a day earlier. Counsel to The SCOAN also questioned the absence of the signatures of all members of the COREN/NBRRI investigation panel on a report with high legal and social magnitude. Mr. Ojo further wondered how a member of the committee who never visited the site of the collapsed building arrived at his report. Reacting, Engineer Oyenuga said the report of their investigation was based on assumptions. He further postulated that Structural Engineering, in its entirety, is based on assumptions. This elicited surprise and disappointment from professionals within the court who felt embarrassed at hearing such. Furthermore, in his oral statement during the cross examination, he admitted that the structure was good but their reports, which was based on assumption, faulted the foundation. The SCOAN counsel also told the coroner that he would respectfully abide by the rules of the court and would not be intimidated or discharge his duties to his client with fear. He frowned at the glaring bias with which the inquest in being conducted and urged the court to uphold the tenets of fairness and equity in the conduct of the inquest. Meanwhile Chief Magistrate Oyetade Komolafe has adjourned hearing to Friday, March 20, when the Chief Pathologist to the state and Vice Chancellor of the Lagos State University, Professor John Obafunwa, is expected to conclude his testimony. This entry was posted in NEWS, SCOAN BUILDING COLLAPSE and tagged building collapse Inquest, Engineer Victor O. Oyenuga, Tb Joshua. Bookmark the permalink. God will vindicate His Prophet.